FACT CHECK: Is Aeroméxico Offering 'DNA Discounts' for People Traveling to Mexico? Is Aeroméxico Offering ‘DNA Discounts’ for People Traveling to Mexico? A commercial promoting an unusual offer from the Mexican airline gained the attention of news media. 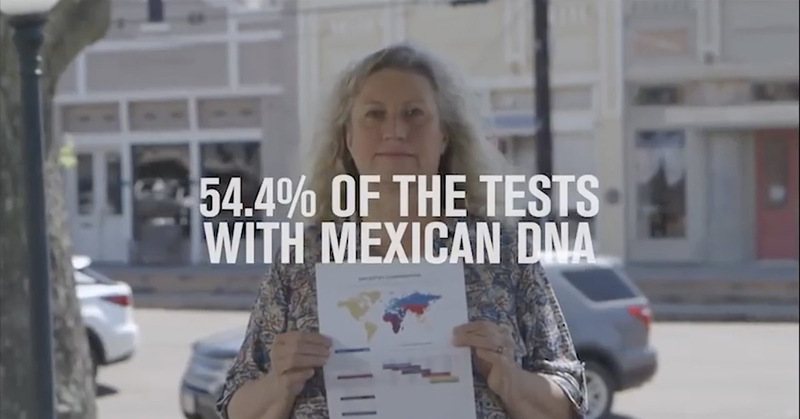 The Mexican airline Aeroméxico is offering "DNA discounts" for U.S. travelers visiting the country, to be determined by how much "Mexican DNA" they contain. A Mexican airline’s January 2019 promotional campaign left observers (and some of our readers) wondering about the validity of an unusual discount it seemingly offered. Although the ad was first posted online in May 2018, it began garnering news coverage from American news outlets in January 2019 amid the U.S. federal government’s longest shutdown ever. The shutdown was spurred by an impasse between Congressional Democrats and President Donald Trump over Trump’s demand that Congress appropriate $5.7 billion in funding for U.S.-Mexico border-wall construction. But while Ogilvy promoted the commercial on their website, it has not been promoted on Aeromexico.com or via the airline’s social media accounts, leaving open the possibility that the “DNA discount” concept was not something intended to be an actual product offering. We contacted both Ogilvy and Aeroméxico seeking comment but have yet to hear back. The Washington Post. 2 April 2016.